← Equipment: Captain Marvel Soars Into Walgreens Stores with New Minimates! War of the Worlds by H.G. Wells has been the introduction into science fiction for many people. This novel has been assigned by countless English teachers since it was first published. This tale of Martian invasion has sparked the imaginations of many a sky watcher; as well as inspiring a radio play that caused mass panic (which is a bit of an urban legend). 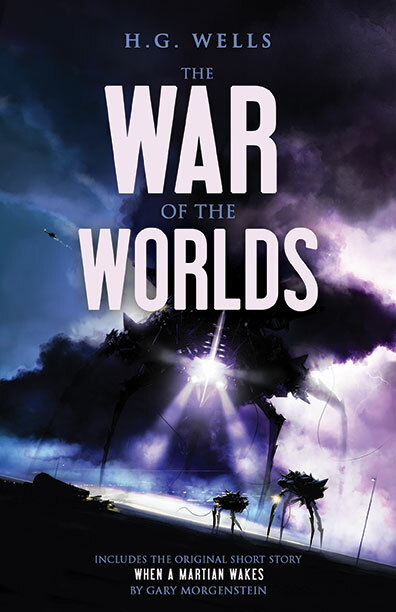 Now War of the Worlds is getting a new edition from bhc press with a short story by the author of Mound Over Hell, Gary Morgenstein. This entry was posted in Hard Copy and tagged Classic, Gary Morgenstein, H.G. Wells, Literature, Martian, Science Fiction, War of the Worlds. Bookmark the permalink.